Vendee hopeful Ronnie Simpson continues to shine a spotlight on some of the world’s coolest race boats. 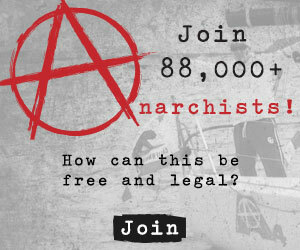 Keep posted on his exploits here, and head to Ocean Racing Anarchy to find threads for each of these efforts. Photo from Marcel Mochet. Thomas Coville and his 105-foot Sodebo have left Brest and crossed the start line off Ushant for the second time this season in an attempt to break Francis Joyon and IDEC’s solo, non-stop, round the world record. The first attempt of the season was short lived with a gennaker attachment failing early-on, sending Thomas back to port. Waiting out the same brutal fall and winter that has wreaked havoc on every other offshore race crossing Biscay, Sodebo’s dock lines were cast off nearly 5 days ago in what is Coville and the big tri’s fifth attempt at breaking Joyon’s six-year old record of 57 d, 13h! Thomas is as determined as ever, having completed two racing circumnavigations in pursuit of this record only to come up just a handful of days short on two attempts. Conditions upon departure were less than ideal for setting records; Thomas left Ushant only to beat into 15-20 knots out of the southwest. Throwing in two tacks to clear Finisterre, Sodebo had a deficit of 150 miles almost from the start. Joyon’s 57-day pace is no easy record to beat, and Coville is having to fight tooth and nail for every mile to get back onto record pace, still sitting some 135 miles behind the reference time. Smashing along at 25 knots in the northeast trades, just west of the Cape Verde’s, Coville and Sodebo should stay in healthy trades until the doldrums. The doldrums crossing itself looks pretty straightforward but a passing low could create a tricky split-Saint Helena High scenario in the South Atlantic. Thomas must be back to the finish off Ushant before the evening of March 15 if he is to break the record. Upon Sodebo’s return to France, she’ll promptly be put up for sale to make room for Coville’s new ride; Olivier de Kersauson’s old Geronimo. Sodebo purchased the boat in order to modify her for solo sailing with the goal to be ready for Coville to sail in this November’s Route du Rhum, as well as the inaugural Collective Ultim circuit to take place from 2015 to 2018. The Sodebo tracker is here and the boat site is here. Lionel Lemonchois and his 80-foot maxi tri Prince de Bretagne (ex-ORMA 60 Sodebo with some serious mods) have departed Lorient to attempt to break Joyon’s ‘La Mauricienne’ record. The 9,000 mile record attempt involves sailing down the Atlantic, around the Cape of Good Hope and up the Indian Ocean to the Mauritanian port of Port Louis. The reference time was established by Joyon in 2009, taking IDEC just a tick more than 26 days. In a stark contrast to Coville’s somewhat lackluster start in comparison to the reference time, Lemonchois has jumped out to a staggering lead of 351 miles over Joyon’s reference time in just four and a half days! Sailing about 50 miles east of Sodebo, Lemonchois and Prince de Bretagne are flying past the Cape Verde’s at 25 knots of boat speed looking at very much the same weather scenario as Sodebo down the Atlantic, including what looks to be a tricky rounding of the Cape of Good Hope and partial ascension of the Indian Ocean to Mauritius. So far, the shorter, lighter Prince de Bretagne is showing good pace in comparison to the 20’+ longer and much more substantial Sodebo. The team’s main objective with this record attempt is a training run and shake down before the Route du Rhum. Prince de Bretagne/ Lemonchois tracker is here. 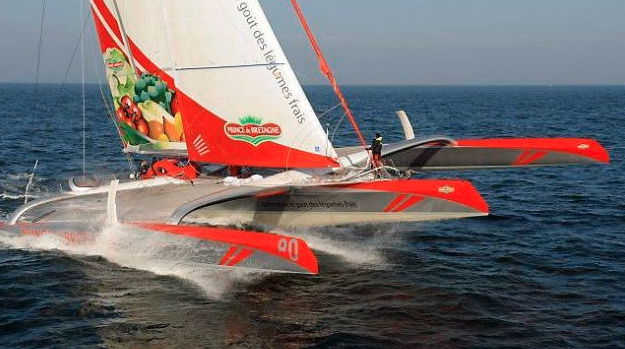 Twice Vendée Globe runner-up Armel Le Cleac’h is back at it in his 105-foot maxi-trimaran Banque Populaire VII (ex-Groupama 3). After smashing Thomas Coville’s Trans-Mediterranean record in October, Cleac’h has gone on standby in the Portoguese port of Vilamoura to attempt to break Francis Joyon’s 2013 ‘Discovery Route’ record from Cadiz, Spain to San Salvador, Bahamas, via the Canary Islands. Legendary weather router Marcel van Triest has given Armel the thumbs up for a departure sometime tomorrow. With the Azores High looking formed and stable, the route should be a tactically straightforward test of boat speed and handling along the 3,884 route which must be completed in less than 8d, 16h if Banque Pop is to break IDEC’s record. Le Cleac’h and Banque Pop VII are planning to have the boat back in Europe by the end of February before taking her across the Atlantic to tackle another one of Joyon’s records; the solo Trans-Atlantic from New York to Lizard Point in June. Le Cleac’h is also training for what is already shaping up to be a thrilling Route du Rhum in November.